Why it matters: Smartwatches are at a pivotal point in their existence and for arguably the first time, Google's offering finally feels like a standalone experience rather than just Android on your wrist. 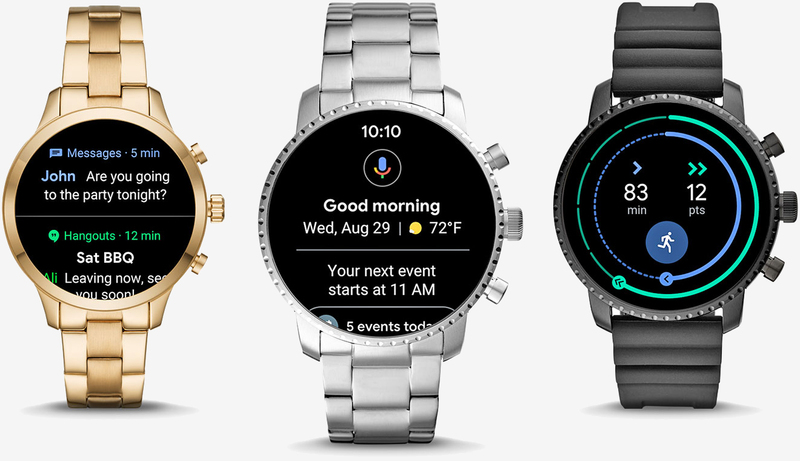 Google is prepping a major Wear OS redesign that focuses on three key aspects – proving quicker access to notifications and information, offering proactive help from the Google Assistant and supplying smarter health coaching. Wear OS’ new notification stream is designed to make it easier to browse, take action or dismiss notifications. Like before, simply swipe up to see new notifications. Unlike before, you’ll notice that they’re all on a single, scrollable pane versus each notification taking up the entire screen. It may not sound like much but information-dense notifications could be a real time-saver (after all, that’s the whole point of a smartwatch, right?). A downward swipe will pull up Google’s revamped quick access panel where you can access shortcuts to features like “Find my phone” and Google Play. Swiping right will pull up the Google Assistant feed where you’ll find all sorts of smart suggestions, tips about features you may not have tried and so on. Tapping a suggestion will load more information about it. Swiping left, meanwhile, will launch the new Google Fit interface where you can quickly start a workout or track progress towards goals. Google worked with the World Health Organization and the American Heart Association to create its two new activity goals, Move Minutes and Heart Points. Google plans to roll out its new Wear OS features over the coming month.